As a parent, your duty is to love, protect, and nurture your children. But, you also need to start letting them out of the nest so they can learn to make their way in the world. This can be a difficult thing for most parents. Two children were injured in a Gwinnett County car accident when a vehicle crashed into a daycare center. According to a WSB TV news report, the car crash occurred at the Learning Hive Child Development Center on Scenic Highway 124 in Lawrenceville. Officials say the van crashed into the daycare after the driver swerved to avoid another car that had turned onto the roadway. 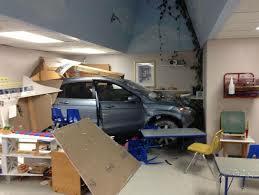 Of the four children and two teachers in the room at the time of the collision, two children suffered minor injuries. Officials have cited the other driver involved and said that heavy rain may have contributed to the crash as well. Now that summer is upon us, it is important to review swimming pool safety tips. According to the Centers for Disease Control and Prevention (CDC), about 10 people die from unintentional drowning every day. Approximately two of those victims are aged 14 or younger. For every child who drowns, another five require emergency department care for nonfatal submersion injuries. Each summer, as temperatures climb, so do reports about children losing their lives after being left in a closed vehicle baking in the sun. With this year’s unseasonably warm spring weather, two deaths have already been reported in two separate states. Infants in both Missouri and Texas have lost their lives after accidentally being left in the family vehicle as the sun shone and outdoor temps climbed into the 80s. About 38 children lose their lives nationwide each year after becoming locked inside a hot vehicle, according to research from San Francisco State University. 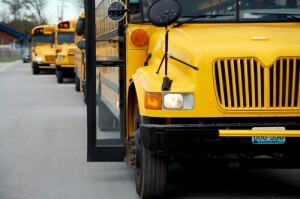 The majority of them are young children riding in safety seats who are simply overlooked. Often, the caregiver is on a different schedule than usual or gets distracted and doesn’t realize a child has been left in the car. The fun of being a child is running, jumping, playing, and trying new things, but, because they are young and still developing, children tend to do these things in clumsy or awkward ways. Every parent has experienced their child coming home with a new bruise or scrape. Minor colds, fevers and infections are also common. Children usually bounce back easily from such minor issues, but some child injuries and illnesses are not caused by a child’s innocent curiosity or clumsiness. The negligence and/or wrongdoing of others can also cause children’s injuries and these are not always so easy to recover from.